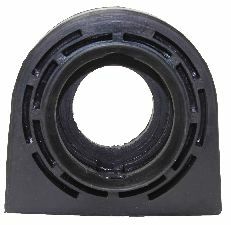 Showing 1 - 1 of 1 Products for Drive Shaft Center Bearing Rubber Cushion. Spicer 1280, 1410; Bearings I.D. = 1.3780 - 1.3775"
PRODUCT BULLET 1: Designed To Meet Or Exceed Oem Specifications On Quality, Fit, And Function. PRODUCT BULLET 2: Westar Utilize The Highest Quality Gmb Bearings In All Supports. At Westar, we pride ourselves on giving you top quality center supports at competitive pricing. We use only the highest grade rubber and steel designed specifically for your application, and apply a finish that will not only enhance the appearance of the support, but will also help to extend the life of the support. Our factories use only top quality components, and manufacture to strict ISO, QS, and TS Standards, and testing.